There is no truth about "blacklisting" of foreign domestic worker who will fail to pay their debts with the financing companies in Hong Kong. 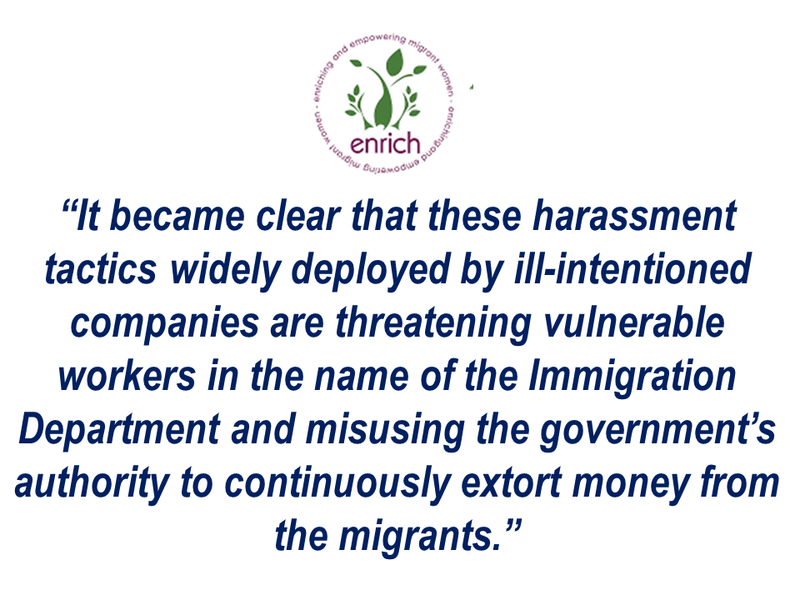 According to the statement by a Hong Kong-based Non-Government Organization, Enrich sent to Hong Kong News, the Immigration Department clarified that they have never accepted nor considered submissions from agencies names of workers for the so-called ‘Blacklist’. “It became clear that these harassment tactics widely deployed by ill-intentioned companies are threatening vulnerable workers in the name of the Immigration Department and misusing the government’s authority to continuously extort money from the migrants,” a statement from Enrich. 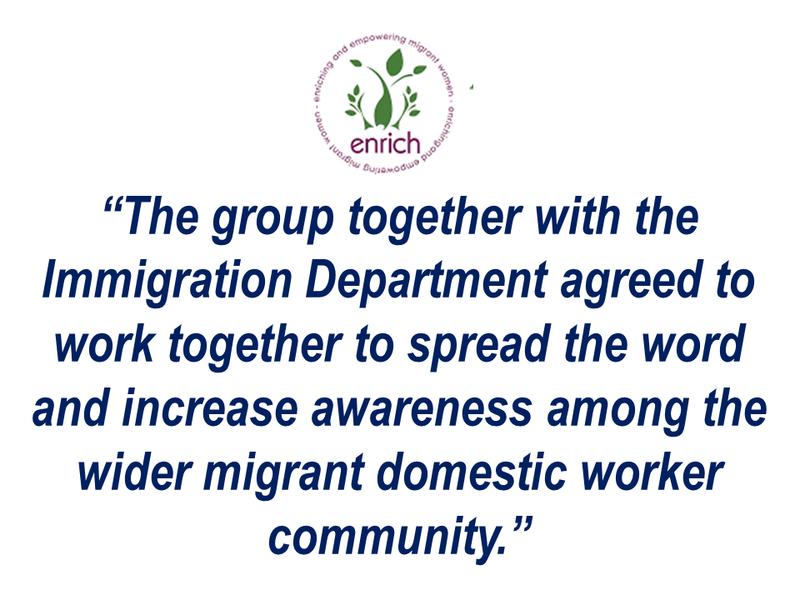 The statement came after a Domestic Worker Roundtable meeting led by Emily Lau, a former Legislative Council member with the Immigration Department that seeks to discuss issues about foreign domestic workers are facing during their stay in Hong Kong. The group Enrich sought clarification regarding migrant workers’ concerns about being blacklisted at the Immigration Department if they struggle with debts. Migrant domestic workers are being threatened and pressured by abusive debt collectors and finance companies to take out loans with high interest rates. 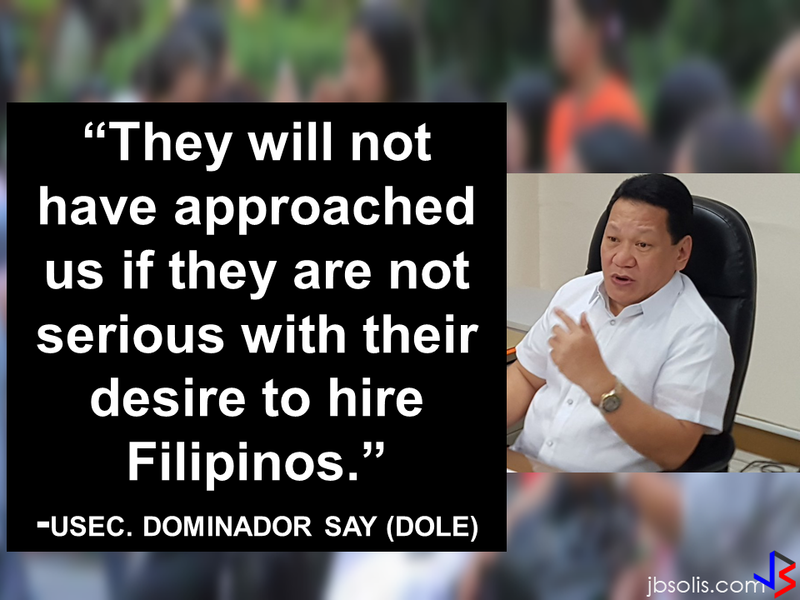 If they fail to pay, the companies are threatened the borrowers that they will be reported to the authorities that may result to blacklisting them from possible future employment. Loan sharks largely operates illegally in Hong Kong victimizing thousands of foreign domestic workers.